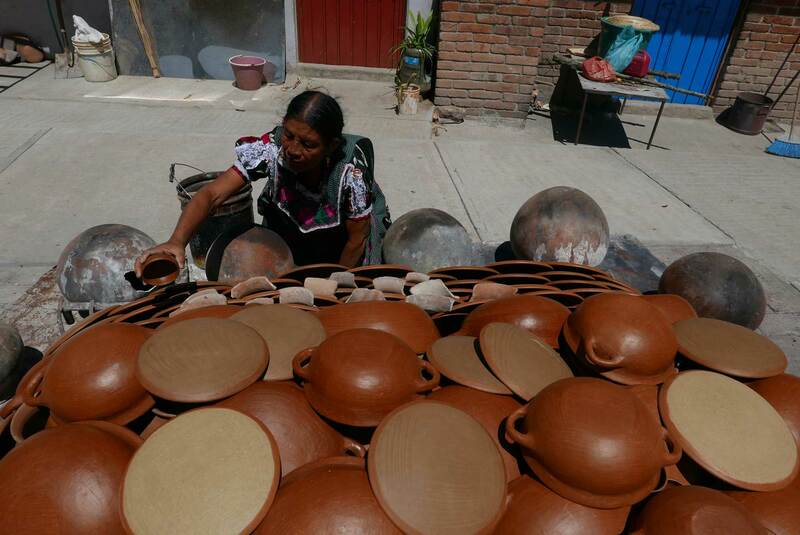 Red clay pottery has been made in Mexico for at least 4500 years. 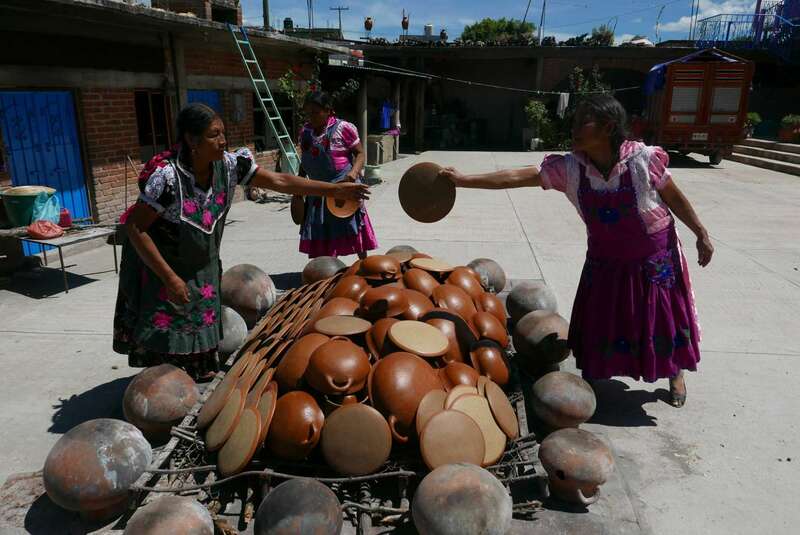 There are varying types of Mexican pottery. Designs around the state of Oaxaca vary depending on the different coloured clay available, techniques used, and firing processes. 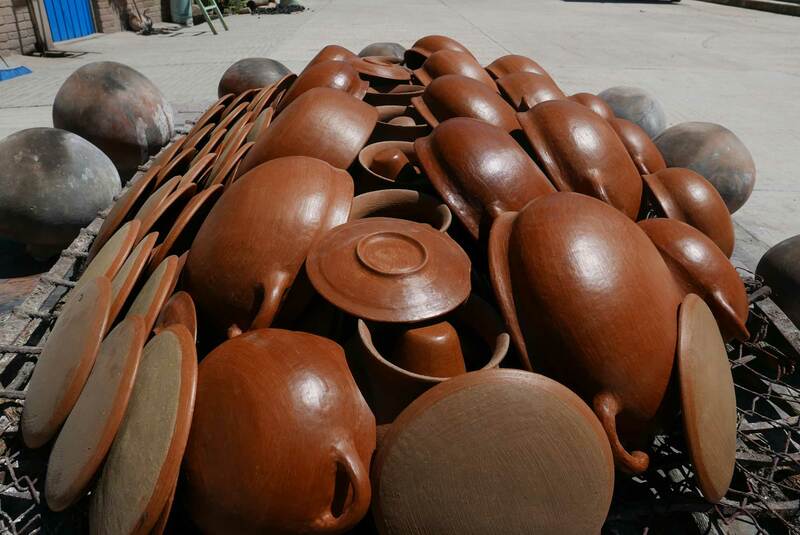 The Mateo family have produced ‘barro rojo’ pottery for generations. 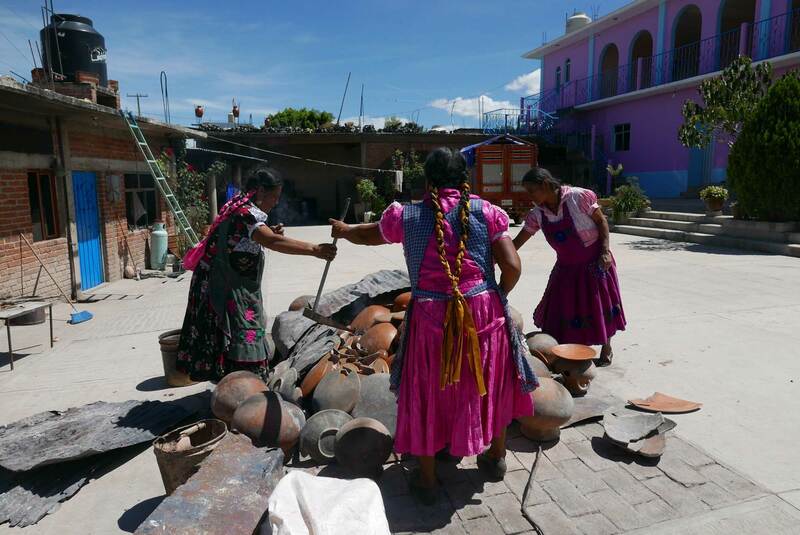 They gather the clay from the hills surrounding their mountain village. They then mix it with water and strain it. Afterwards it is mixed with sand and left to dry in the sun for a week. When it is ready to be moulded, they use a flat stone as a simple banding wheel. They make use of the natural tools which they can find around them such as different shaped wood, stone and corn to mould the clay into pots. The pottery is finally burnished with a smooth stone to give a polished finish. 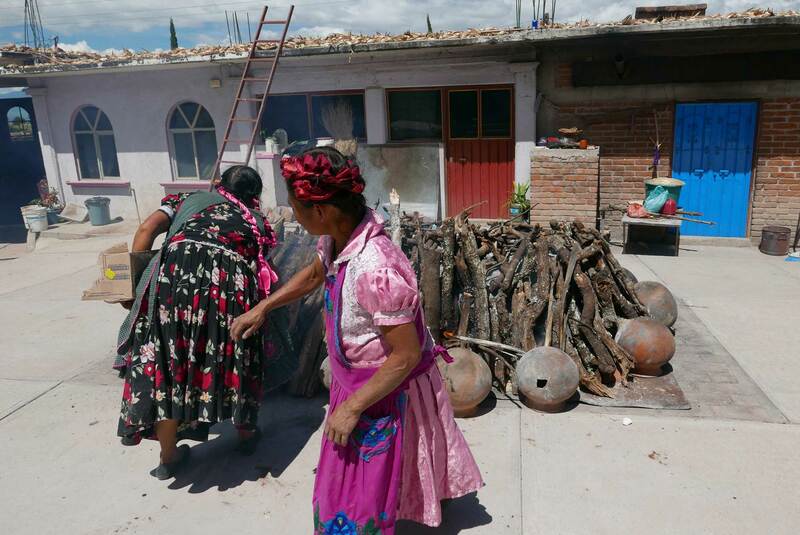 Once every three weeks, they lay out an old metal bed frame in the open courtyard and pile their pots on top of it. 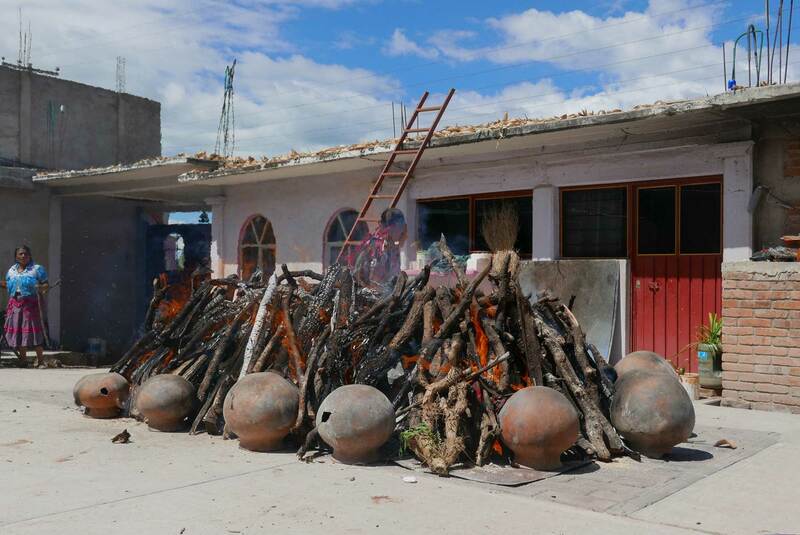 Large, old pots are placed around the outside to help keep the heat in and shield burning debris from falling out. Broken pieces of pottery are slotted in between plates to keep them separate during the firing. Old plates are then balanced around the edges and burning coals poured in through the cracks. They then cover the mound with corrugated iron to protect and maintain the heat. 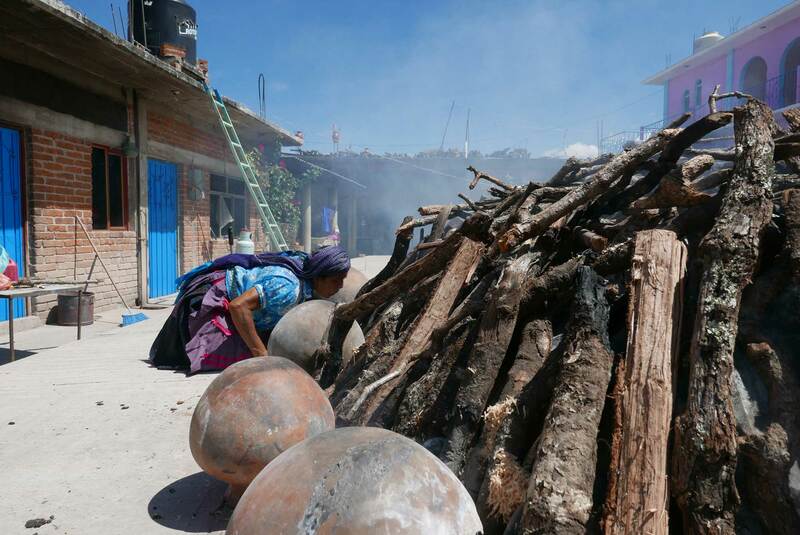 They pile logs on top and use sawdust, cardboard and newspaper to encourage the flames. 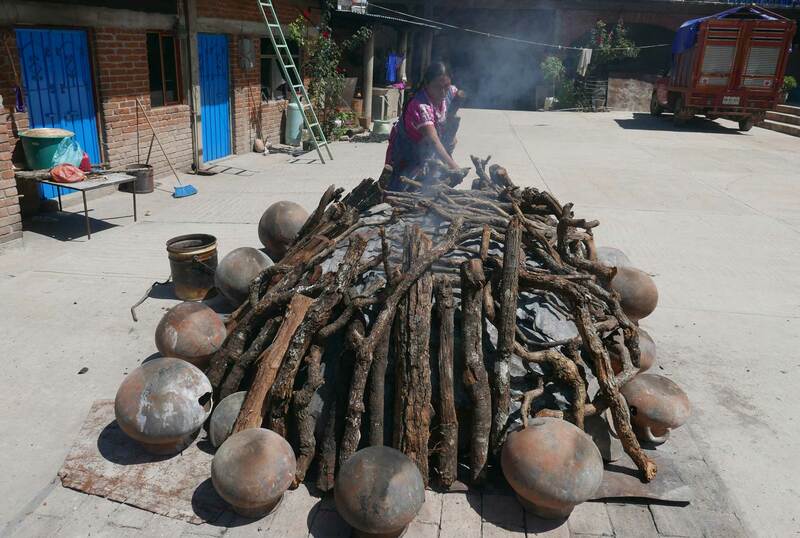 The artisans tend to the fire, adding logs and using a stick, 3 metres long, as a poker. The fire is kept alight for around 5 hours before being left to cool. In the heat of the midday sun, the work is strenuous. The women are proud of their craft.